Romaine Lee Castor, Jr., 64, of Machesney Park passed away Tuesday, October 30, 2018. Born September 17, 1954 in Rockford. Married Linda Fletcher March 3, 1973 in Rockford. Employed as a Production Supervisor for Zenith Cutter for 23 years. 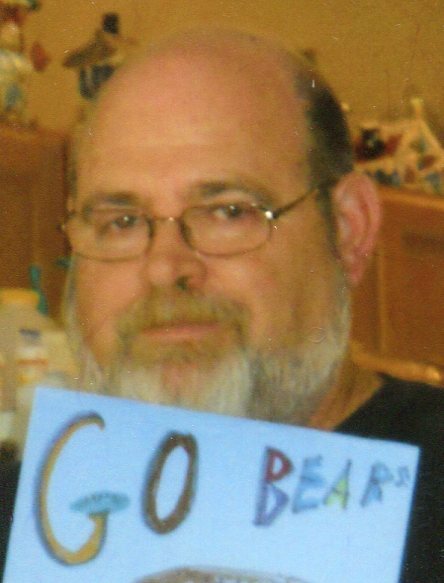 Romaine was a die-hard Chicago Bears fan, loved football, movies, scuba diving and fishing. Survivors include wife, Linda Castor; children, Michelle (Matthew) Wallace, Benjamin (Victoria) Castor; grandchildren, Emma, Katey, Matalin Wallace, Abigail, Taylor Castor; brother, Ron (Ruby) Castor; sisters, Marsha (Tommy) Smith, Sharon DeLeon; and lifetime friends, Barb and Jeff Johnson, Carol and Chuck Sutton, Ron and Ruby and too many more to mention. Predeceased by parents; and brother-in-law, Carlos DeLeon. Memorial service will be held at 5:00 p.m. Sunday, November 4, 2018 in Honquest Family Funeral Home with Crematory – Roscoe Chapel, 11342 Main Street, Roscoe with a visitation from 3:00 p.m. until time of service. In lieu of flowers memorials may be given to the family.